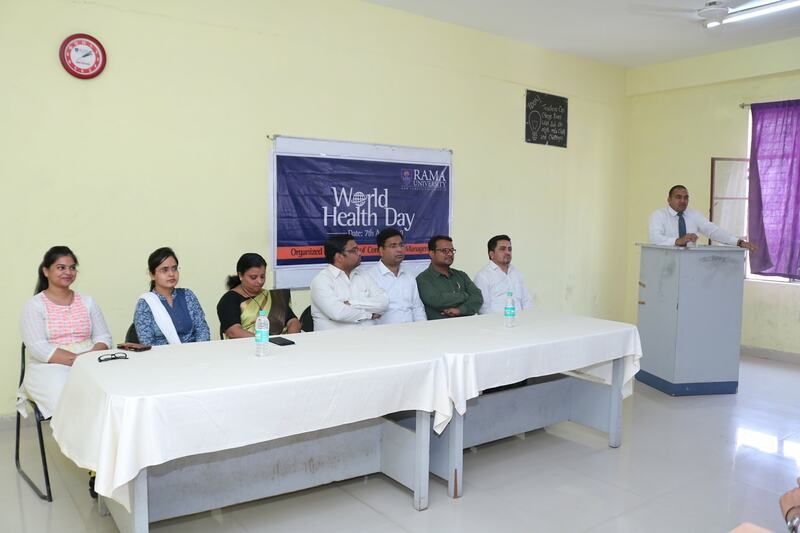 The World Health Day is a global health awareness day celebrated every year on 7th April. This day is observed to mark WHO's founding and is seen as an opportunity by the organization to draw worldwide attention to a subject of major importance to global health each year. 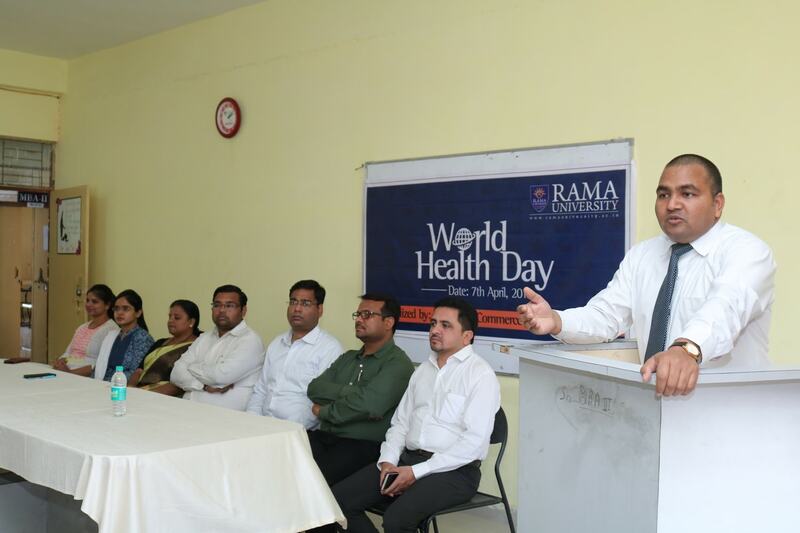 To emphasize the relevance of the mental and physical wellbeing, the Faculty of Commerce & Management, Rama University organized a lecture-session on 7th April 2019 in Seminar Hall of the department. 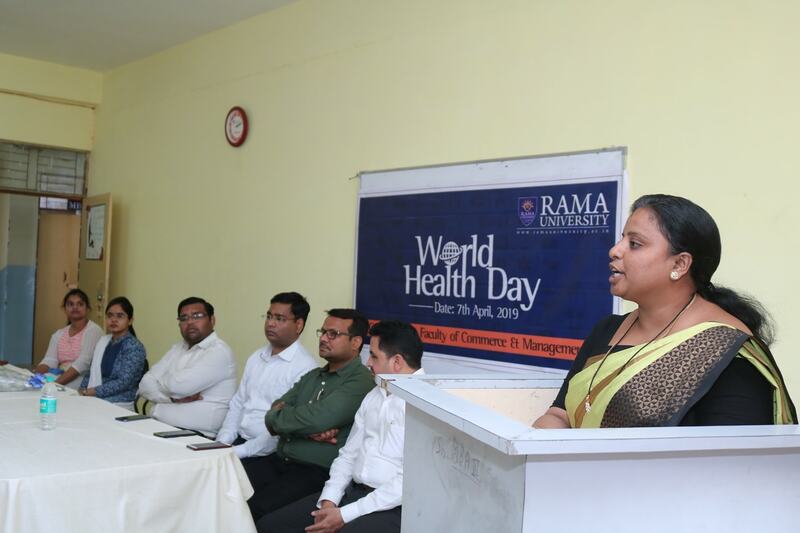 Dr. Jasmin Johnson, Associate Professor, Faculty of Nursing, Rama University was the Guest Speaker of the event and she talked about the possible health issues during student life and at the workplace and how to address and overcome these issues. 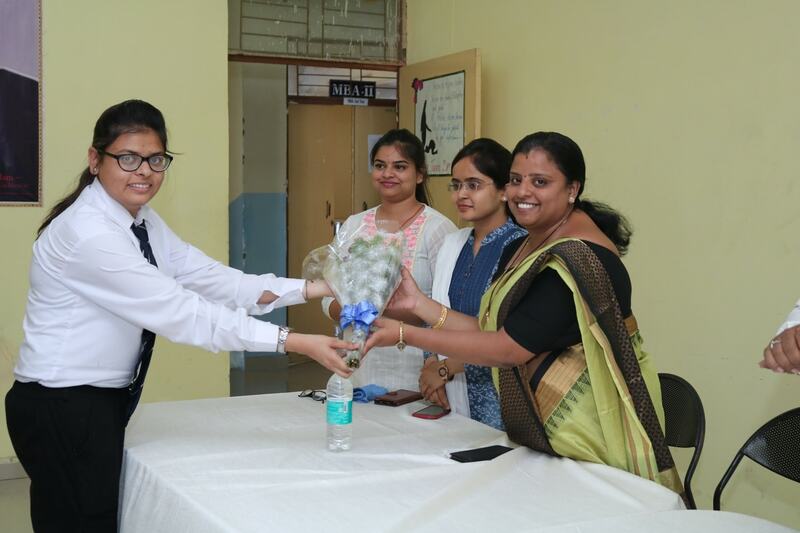 During the event, all the faculty members, which included Dr. R.S. 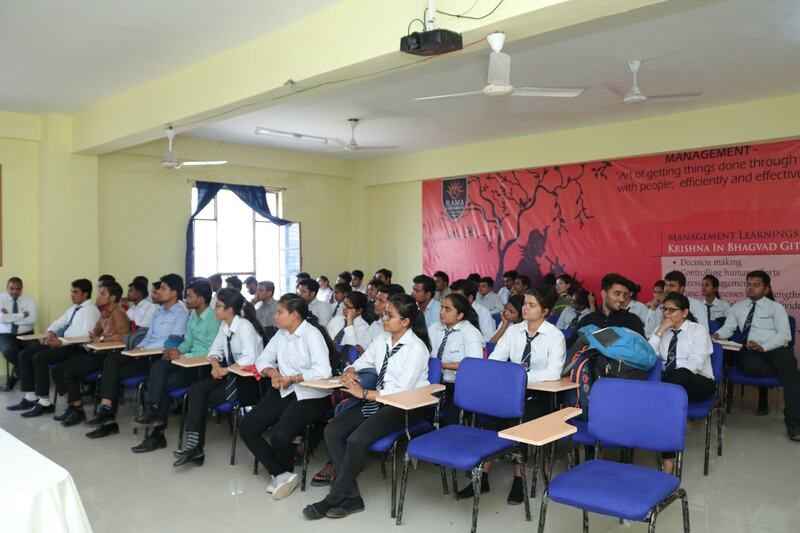 Bisariya, Dr. Rishikant Agnihotri, Mr. Mohit Gupta, Mr. Vikas Mishra, Mr. Manish Katiyar, Ms. Akanksha Shrivastava were present along with all the students. 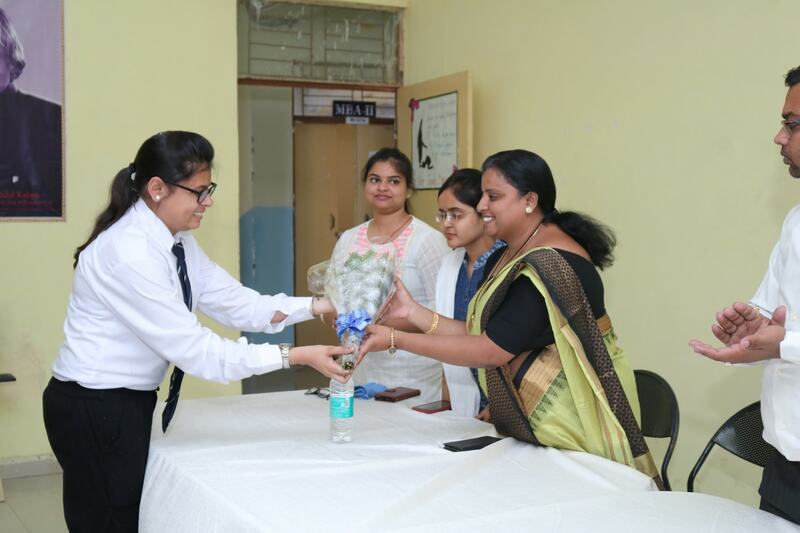 The event concluded with a vote of thanks by Ms. Divya Mishra and was organized by Dr. Govind Kumar & coordinated by Ms. Divya Mishra.